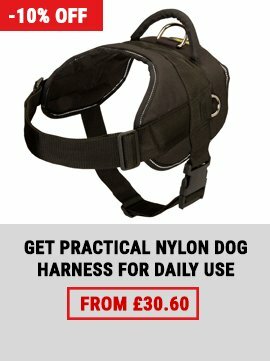 How do you think, whether it's possible to find super durable, timeproof, soft and safe multifunctional dog harness for Boxer? 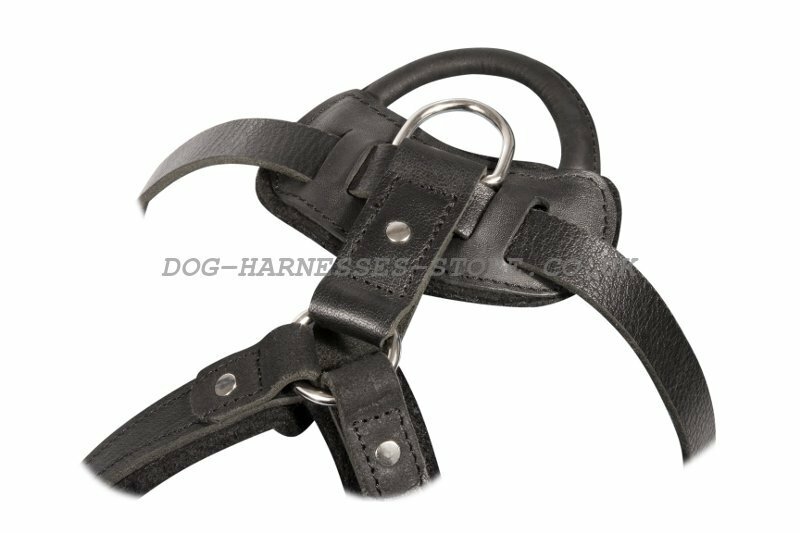 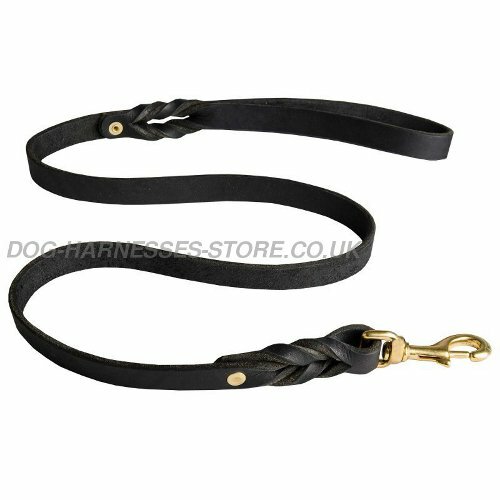 It's not a dream because our best experts designed an all-purpose leather dog harness, which combines all the best qualities mentioned above. 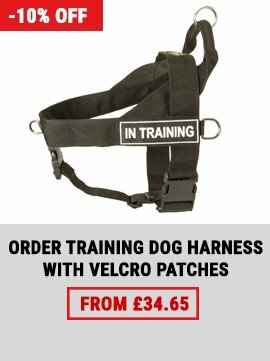 This working dog harness is a unique gear for walking and training your Boxer. Let your dog feel great comfort with our safety dog harness! 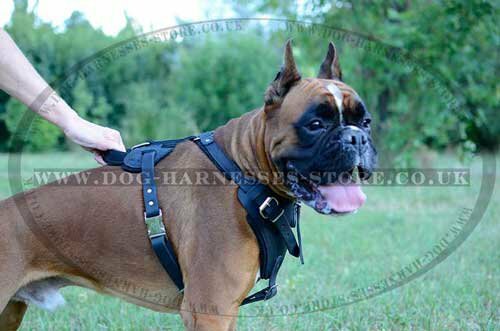 This Boxer dog harness is specially intended for hard loads, that's why it will perfectly fit for attack, agitation and other kinds of professional training. 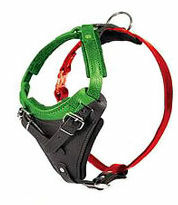 Besides, if you have a police, K9 or a service Boxer, than this working dog harness is the best you've even seen. 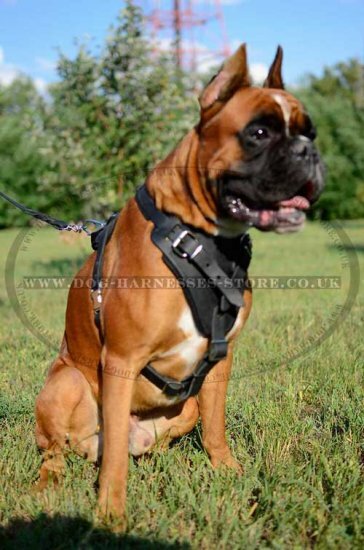 Wide chest plate with thick felt padding provides supreme comfort and safety for your Boxer during work. 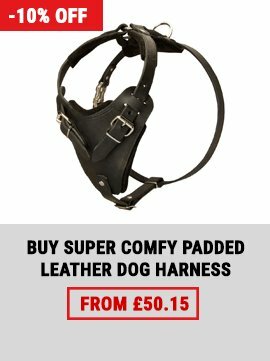 Leather dog harness is 5 ways adjustable so you can easily adjust it due to the size of your Boxer. Moreover, this protection dog harness is handmade from premium quality, heavy-duty strong and soft leather so you may keep calm for its quality.